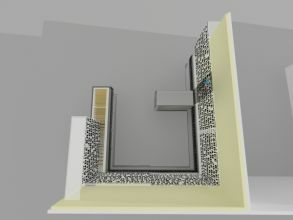 The design focused on the idea of archive. 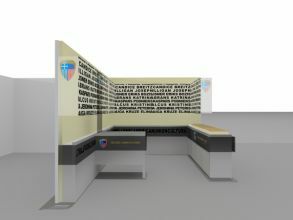 The exhibition space was organised in relation to the archive of cultural activities and events of Hellenic American Union during the last twenty years. 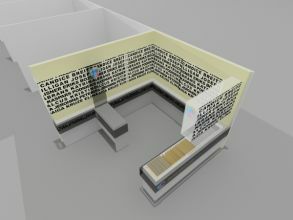 On the adjacent sides of the installation the names of all participants in the those events are recorded.